Do you travel for business? It can be exciting in the beginning, but after a little while, corporate travel can feel like a hassle. How can you avoid becoming stressed? 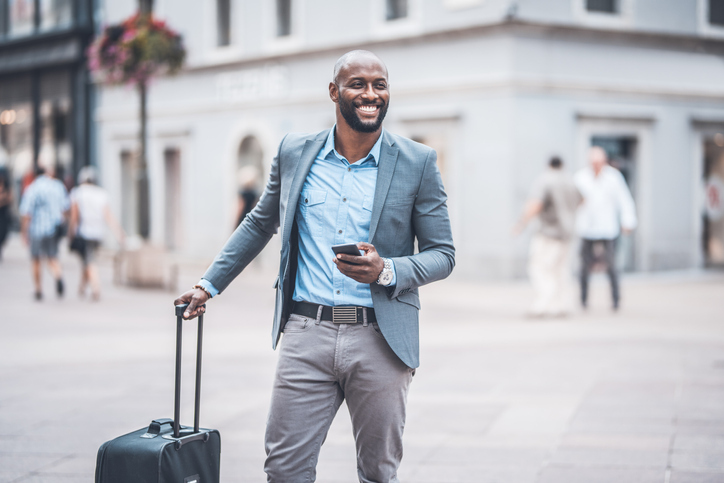 Try these five stress-free tips for corporate travel. Compare fares. Sometimes, it pays to stick with one airline and build up points. On the other hand, it’s not worth missing out on cheaper flights, just for the sake of points. Take some time to shop around, looking for non-stop flights, to save time as well as money. Don’t overlook one-way fares, because sometimes combining two one way fares can be a better deal than booking a round-trip ticket. Don’t limit yourself to coach, either: during times of year in which there aren’t as many business travelers, the cost of seats in business and economy class may drop. Invest in good travel gear. What this means it up to you. You certainly need luggage that’s easy to maneuver and made to stand up to the rigors of travel, and it’s not a bad idea to pick up a power bank or two, for those delays that drain your devices’ batteries. Shore up your wardrobe, so that you’ll look pulled together even on travel days, and you’ll know exactly what to pack each time you leave. Think about the things that will make your travel comfortable and efficient, and purchase what you need: some people might find it worthwhile to invest in a good travel pillow, while others may find it just as comfortable to roll up a scarf or jacket to use instead. What makes a trip easy is subjective, so consider your own needs when you’re deciding what to purchase and pack. Travel light. Bearing in mind the above suggestion about providing for your own comfort, it’s still smart to confine your things to a carry-on bag. This will enable you to get to the gate more quickly, and if you use compression bags you can still fit everything you need into a carry-on and your laptop bag. Pack with security checkpoints in mind, making sure to abide by protocols regarding liquids and electronics. Make friends. If you’re going to travel the same route on a regular basis, you’ll undoubtedly run across the same people, whether in the airport, on the flight crew, at the hotel, or at the car rental counter. Being friendly to these people can help facilitate more comfortable travel, and make your trips smoother. One frequent traveler brings a bag of candy on each flight, to share with the flight attendants. This kind of nice gesture puts everyone in a good mood and makes them more favorably disposed towards you, which can make your travel more enjoyable. Use programs that make travel easier. Join rewards programs that provide points or miles for air travel, hotel stays, car rental, and credit card usage. Check into your flight online ahead of time, and consider applying for TSA Pre-Check and Global Entry to help you move through security and customs more easily. An airport lounge membership is also a good idea because it gives you access to a pleasant place to wait for your flight. Another way to make corporate travel less taxing is to host your corporate event at the right location. At Texas Training and Conference Centers, we pride ourselves on offering training facilities that feature the technology and tools to facilitate learning, with high-quality equipment and exceptional service. Soundproof rooms, state of the art electronics, continental breakfast, and optional catered lunches are just a few of the ways we create an environment that makes a big difference for your event. For the past 18 years, we’ve provided exceptional service to businesses throughout Houston, and we have the expertise to help you make your event a success. To learn more about Texas Training and Conference Centers, call us at 832.982.1708 or contact us through our website.